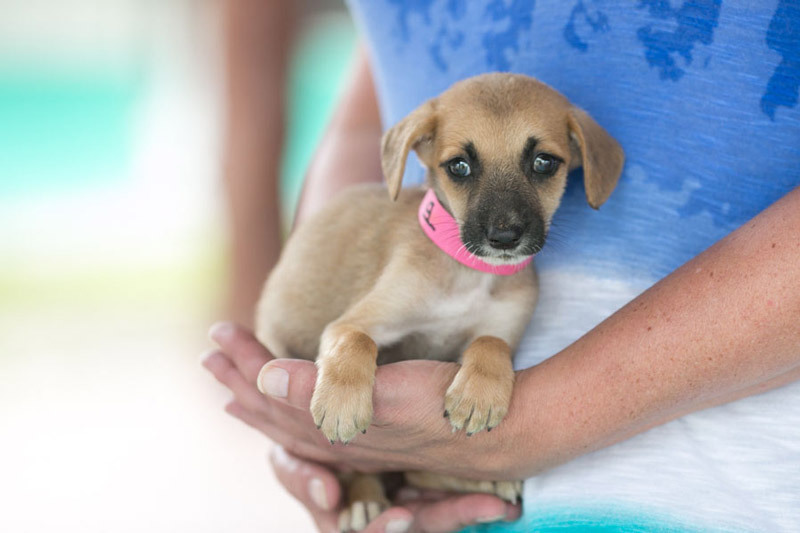 Finding a companion animal for adoption on Isla Mujeres could never be easier. At any given time there are an average of 20 animals that are fully vetted and waiting to go to their forever home. You can make arrangements to meet them personally by contacting us. We are happy to work with you at every step of the process. We send out 100’s of dogs each year. You will be amazed how easy it is! We have sent animals from Isla Mujeres all over the world! Animals can travel from Mexico with their new owners as long as the airline permits and the paperwork is in order. (Except to England or Ireland, which is a bit more complicated.) It is so easy, just follow these steps. See all our adorable companions ready for their forever home! 1. Call your airline to be sure they will let you travel with a pet. First we will help you determine if the dog will be carry-on or checked as luggage. Each airline is unique with their requirements. 2. Paperwork. Your newly adopted pet will need a health certificate and vaccination records. Isla Animals can help you with these. 3. Buy a kennel or soft carrier in Cancun for transport. You can also borrow one of ours if the right size is available. You can bring this back on your next visit, or donate it to your local animal shelter. We always appreciate a donation, if possible, for the use of the kennel. 4. Make sure your transportation to the airport is pet-friendly. If you need to arrange a van from the ferry to the airport, we recommend CARM Tours & Transfers. Contact us if you have questions. We will be with you every step of the way! Q. How long does a dog or cat have to be in quarantine when you take it into the US or Canada? A. There is no quarantine period for cats and dogs going into the US and Canada. You need a health certificate and a rabbis certificate and proof of vaccinations and an airline that will take animals. Q. With so many unwanted street animals, why don’t people on Isla Mujeres spay and neuter their pets? A. First, they cannot afford it…to spay a dog is $60-$100 dollars (that is a week salary for many people)! Second, they lack the knowledge for proper animal care because there are no educational programs designed to sensitize people to the plight of animals. Q. Why not just build animal shelters? A. Because even in the U.S. animal shelters are very expensive to operate and often animals end up living their lives out in a cage. Furthermore we are operating in a developing country which is still struggling to provide resources for their human population. The harsh reality is that it will be a number of years before we can expect the city or its citizens to be able to support a shelter. By aggressively running spay/neuter clinics and adoption programs there is less dependence on animal shelters. Q. How did you get into this? A. My commitment has grown over the years. I started feeding a few dogs in the street and then I kept a few puppies at my house. It has come about slowly and continuously. If you love animals and you live in Mexico it is very hard not to get involved. Q. How many dogs do you have at your clinic? A. I usually have between 20 and 30. Puppies are so much fun they barely count! Q. Do you ever have to put dogs down? A. We have put very few dogs down, only if they are too sick or injured to survive or if they are too aggressive, which happens sometimes if they have been treated cruelly for too long. Q. What about the cats? A. The cats are more independent and with all the fishing boats and docks they often get enough food. Also they are not a menace, like a dog chasing moto’s. or biting tourists.